The Attorney General, with broad powers to investigate crime, is investigating crimes by Sunoco Pipeline/Energy Transfer Partners. Those with information or evidence should contact the office of Attorney General Shapiro. The Mariner East II pipeline, which crosses Pennsylvania, has been the subject of fines, shutdowns and allegations of polluting drinking water and disregarding safety by residents across the state, including some in Cumberland County, Pennsylvania Attorney General Josh Shapiro announced Tuesday he is launching an investigation into the pipeline. 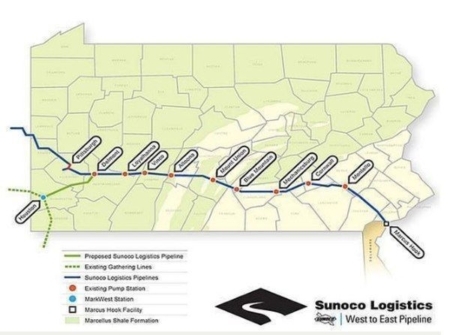 The state’s top prosecutor has opened an investigation into Sunoco Pipeline and its parent company, Energy Transfer Partners, into their pipeline that spans the state. Pennsylvania Attorney General Josh Shapiro said on Twitter Tuesday his office is investigating the liquid natural gas pipeline project known as Mariner East II. “We will leave no stone unturned in this case,” he said in the post. A case considered under County tax assessment law provided support for property value to include suitability and income from billboard rental. Fair market value includes such income. The case supports such similar eminent domain claims for damages. In Re Consol. App. of Chester-Upland Sch. Dist., No. 633 C.D. 2017 (Dec. 27, 2018) – When determining fair market value of property, suitability of property for billboard use and income earned by property owner from rental of property to billboard operator should not be excluded from fair market valuation by Section 8811(b)(4) of Consolidated County Assessment Law, 53 Pa.C.S. 8811(b)(4); property should be valued consistent with general valuation principles. The threat of eminent domain and the actual filing of an eminent domain action often end via a negotiated sale of property in place of condemnation. Property owners are guided to protect property rights via an experienced eminent domain attorney. McCready v. Dept. of Comm. and Econ. Dev. No. 78 C.D. 2018 (March 5, 2019) – When no reservation of mineral rights through exception or reservation is in deed, absent mutual mistake, owner may not alter express and unambiguous deed provisions through parol evidence regarding her intent with respect to deed. Quest Consultants of Norman, Oklahoma has released a study titled Quantitative Risk Analysis for the Mariner East Pipeline Project. Risk of fatality falls to zero at a distance of about 2,100 feet from the ME2 or ME2X pipeline. Along the route, the risk of fatality is about 10% as likely as being fatally involved in a motor vehicle accident and about 150 times as likely as being struck by lightning. The study may be reviewed by clicking here. On 9/10/18 a natural gas pipeline west of Pittsburgh exploded. One home, approximately 500 feet from the 24 inch pipeline, was destroyed. The explosion and fire exemplify the risks to life and property. Beaver County resident Chuck Belczyk, who lives across the street from where a natural gas pipeline exploded Monday morning, shot this video of the resulting fire. A meteor, a plane crash, a helicopter. That’s how residents of a quiet street in western Pennsylvania described an explosion along a brand new natural gas pipeline in the woods behind their homes. The fire shot up 150 feet in the air, damaged power lines, and sent neighbors scrambling out of their homes. Upon Judge direction, the Federal Energy Regulatory Commission (FERC) ordered stoppage of the construction of the Atlantic Coast Pipeline and the Mountain Valley Pipeline. The attached news story explains how environmental regulators are compelled by judges to provide mandated environmental protections. What Happens When a Pipeline Runs Afoul of Government Rules? Authorities Change the Rules. Federal authorities halted work on the massive Mountain Valley Pipeline this month after an appeals court ruled that federal agencies neglected to follow environmental protections. Update, August 10, 9 p.m.: On Friday evening, the Federal Energy Regulatory Commission issued an order halting all work on the Atlantic Coast Pipeline. FERC cited an appeals court ruling that found the National Park Service and the U. S. Fish and Wildlife Service skirted environment rules when approving the $5.5 billion, 600-mile project. A week ago, the federal government halted work on a massive pipeline project that runs from Northern West Virginia through Southern Virginia. The Wall Street Journal published an opinion which criticized the Federal Energy Regulatory Commission process by which property owners are denied the due process right of judicial review of eminent domain actions. 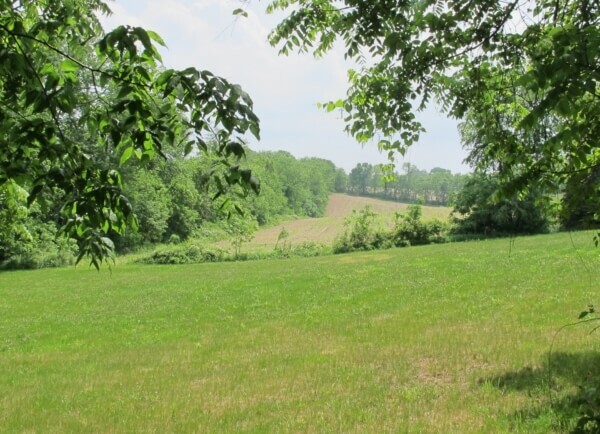 How FERC denies landowners the right to meaningful appeal. Across the country activists are speaking out against the use of eminent domain to construct natural-gas pipelines. Some have climbed trees and refused to come down. The agency in charge of approving these pipelines—the Federal Energy Regulatory Commission, or FERC—is reconsidering how eminent domain, by which the government legally expropriates private property for public purposes, is used. A recent Commonwealth Court decision reaffirmed the opportunity for a property valuation witness to rely upon hearsay evidence in forming an opinion of property value. In re Condemnation by Turnpike Commission, No. 1131 C.D. 2017 (April 10,2018) a property owner appraiser relied upon an affidavit of a neighbor about the property owners ability to obtain a driveway easement. The affadavit was relied upon in support of a highest or best use for hotel development. The decision cited 26 Pa. C.S.A 703 and the Eminent Domain Code provision which allows an expert to rely on “facts or data” which the expert did not personally observe. Use of this particular rule for eminent domain evidence can be very beneficial in production of evidence of full just compensation. 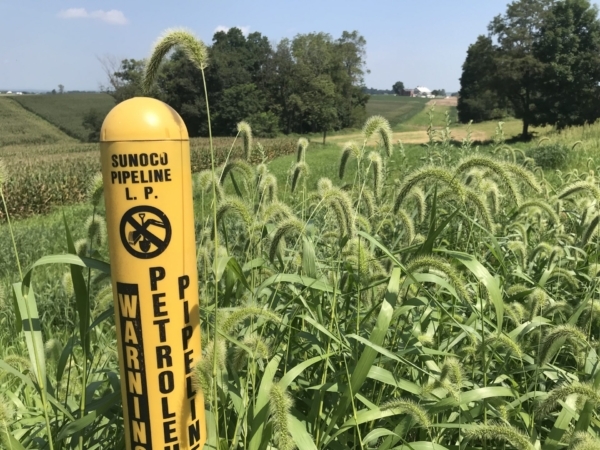 The Penn East pipeline across northern Pennsylvania and northern New Jersey continues with FERC approval and multiple eminent domain challenges. Recently another challenge was added via a New Jersey request that FERC reconsider the pipeline impact. Although unlikely, the effort could derail the pipeline in both states. One of the first acts of Gurbir Grewal when he became New Jersey’s attorney general was to ask the Federal Energy Regulatory Commission to rehear its decision to certify a crucial aspect of the controversial PennEast pipeline; the proposed pipeline would carry natural gas from Pennsylvania to Mercer County. Monday, Grewal filed a petition with a federal appeals court that challenges FERC on that certification. An April 30, 2018 decision of the Pennsylvania Commonwealth Court rejected six of seven claims against Sunoco re environmental harms and eminent domain overreach. One claim, based on the Environmental Rights Amendment, was directed to further consideration by the Commonwealth Court. Read the Pennsylvania Commonwealth Court decision here.